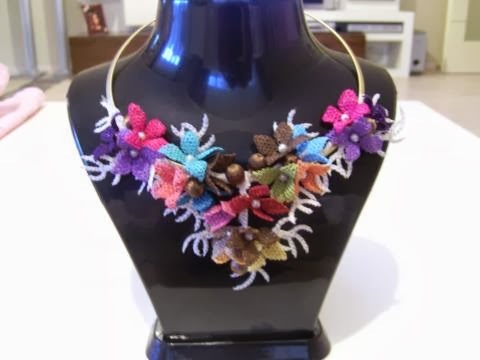 This necklace is a neddle lace. I created it so it's a manual labor. Materials used is synthetic silk. If you look at the website, you find a lof of designs.